Sprays a thin uniform oil layer. 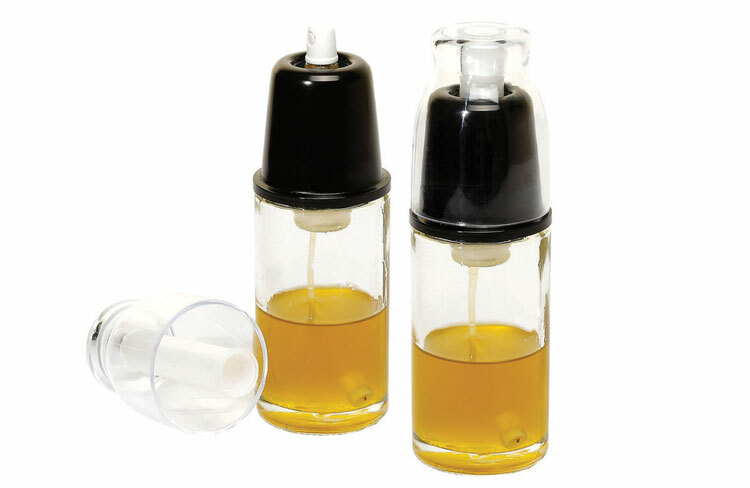 Ideal for dressing salads, oiling meat and fish, or greasing trays, pans and molds. Manual air pump. Fitted with filter for spiced oils. Glass body and stainless steel pump. Diameter/Height/Capacity 2 1/6”, 7”, 5 3/4 oz.